Hispanic growth in Florida: Will it determine the election? What difference does four years make? For Florida, in a presidential election year, the difference means surging population growth that could influence the outcome of the national contest. The state remains a crucial swing state in the presidential sweepstakes but, since 2012, Florida’s electorate has changed in important ways — exacerbating the role of its growing Hispanic and elderly populations and potentially sowing seeds of a more disruptive revolution to come. The generational and ideological tensions that could emerge between the aging baby boomers, who data shows have become more conservative and less trusting of government, and Florida’s increasingly diverse younger generations have the potential to make Florida a bellwether for the nation — again. New population data released by the U.S. Census bureau June 23 shows that the state grew by 1.46 million people from 2010 to 2015. Looking at ethnicity, Hispanics represent 51 percent of the growth. Looking at age groups, people 65 and older represent 46 percent of the growth. In five years, Florida’s Hispanic population grew 18 percent overall — six times more than non-Hispanic whites, and more than twice as fast as blacks. 1.46 Million people were added to Florida’s population from 2010-15, and the growth in Hispanics accounts for 51 percent of that total. More than a third of the growth — 269,911 people — occurred in Miami-Dade and Broward counties, the epicenter of the state’s Hispanic population. But the fastest growth occurred in the counties along the I-4 corridor from Orange, Osceola and Seminole counties to Polk and Hillsborough, which saw its Hispanic population rise by a combined total of 219,229. The Hispanic population also grew in counties with previously less dense populations. St. John’s County, the bedroom community south of Jacksonville where the $65,575 median income is the highest in the state, saw a 42 percent increase in its Hispanic population. Nearly 4,400 more Hispanics are now living there. Nearby Clay County had a 32 percent increase in Hispanic residents, with 4,876 more newcomers. And in Florida’s Panhandle, home to three military bases, Santa Rosa, Okaloosa and Bay counties saw increases in their Hispanic residents of between 39 percent to 34 percent between 2010 and 2015. 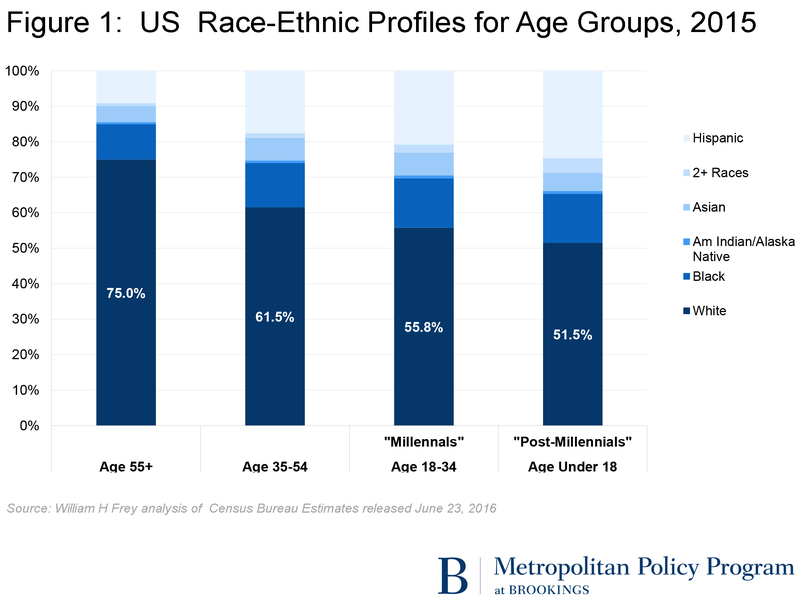 But to pollsters and political observers, the focus is on the potential impact of these demographic shifts in the November election. The participation rate for Hispanics in elections has been historically low. 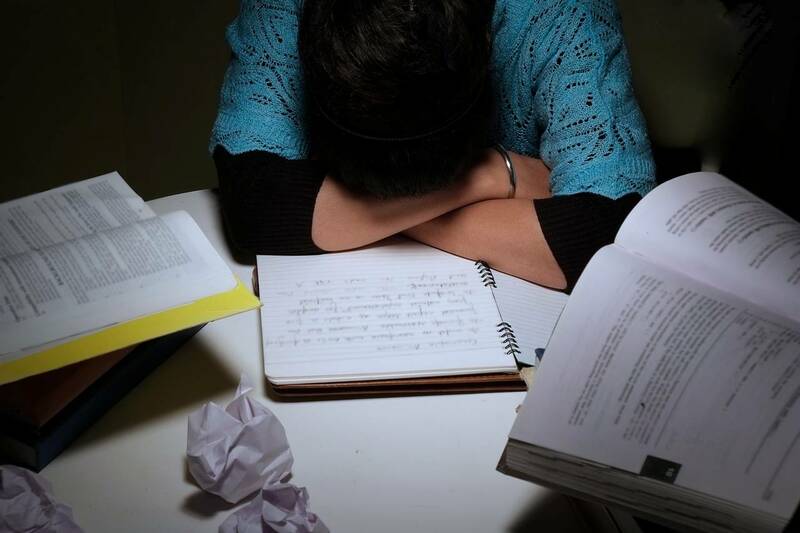 Nationally, and in Florida, the population is young — nearly half are under age 29 and millennials tend to vote infrequently — and many are immigrants who have not established citizenship yet. It is no surprise there has been a substantial increase in the Hispanic population in the state. The question is, how many people are registered to vote and how many of them actually show up? Miami-Dade County, which has the highest percentage of Hispanics in the state with 66.7 percent of its population Latino, also saw the lowest voter turnout rate in the state in the 2014 midterm elections with only 41 percent of its registered voters casting a ballot. “There is an exceptionally large delta between the percent of population who is Hispanic and percent of the electorate that is Hispanic,’’ said Steve Schale, a Democratic political consultant. He believes the real number of Hispanic voters is actually higher than it appears on paper, since many of those who registered to vote before 2006 did not have the option to self-identify as Hispanic. 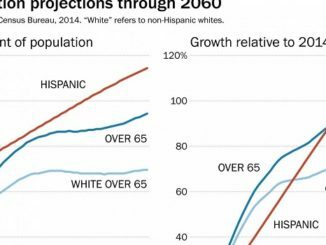 But the surge in Hispanic voters in Florida could also be offset by the increase in the group that is among the most reliable voters — those who are white and over age 65. Among this group, Florida is the stronghold of the nation. According to the latest census numbers, Florida had the highest percentage of its population age 65 and over — 19.5 percent — among states in 2015. Sumter County is home to one of the fastest-growing metro areas, The Villages, and is the only county in the nation where the majority reached retirement age in 2015. The median age: 67. The median household income: $49,874. The region votes Republican and is conservative but in the last five years Sumter also saw an increase in its Hispanic population: 20 percent. Hispanics are the country’s fastest-growing demographic but, since George W. Bush was reelected in 2004 with 44 percent of the Hispanic vote, Republican support among that group has fallen sharply. In Florida, where the state’s large Cuban-American population created a traditional GOP voting bloc, the shift is dramatic. 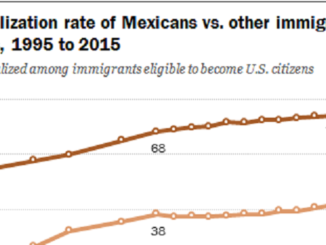 The tipping point came in 2008 as more Hispanics registered as Democrats than Republicans. The gap widened over the next four years when a new phenomenon started to emerge in 2012: more new Hispanic voters registered with no party affiliation than they registered Republican. According to Florida’s Division of Elections, Hispanic voter registration has been climbing steadily. Hispanic voters now make up 17 percent — 2 million of the 12.2 million voters in Florida. Driving much of this shift is the migration of Puerto Ricans from the economically troubled island to communities in Central Florida, as well as a shift in the Puerto Rican population from the northeast U.S. to the region. By 2014, there were more than one million people of Puerto Rican origin in Florida. Unlike migrants from foreign countries, Puerto Ricans are U.S. citizens and can register to vote as soon as they get settled. Polk County has seen an explosion of Puerto Rican migration in the last five years — up 26,547, a 24 percent increase. In Miami Dade, where an influx of non-Cuban Hispanics has shifted the county’s electorate from Republican to Democrat, the percentage of Hispanics has grown from 65 percent to 66.7 percent to a total of 3.6 million. In Broward County, the increase went from 25 percent to 28 percent to 1 million. What does this mean for presidential contenders, Republican Donald Trump and Democrat Hillary Clinton? Based on the performance of Mitt Romney and John McCain, most Republicans say that for Trump to succeed in November he will need to win a larger share of the Hispanic vote in Florida, and nationwide, than they did. 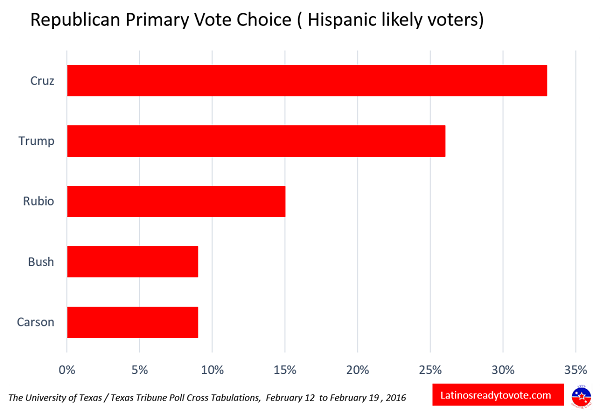 But a recent online survey of Hispanic voters by Florida International University’s Steven J. Green School of International & Public Affairs and mobile Hispanic advertising company Adsmovil show the numbers, at this point, are overwhelmingly against Trump and that his hard-line immigration stance and call for a wall along the southern border has hurt him. The poll showed that 75 percent of Hispanic voters surveyed nationwide supported Clinton, while 17 percent supported Trump, and 8 percent chose “other.” The top two concerns: immigration and the economy. The trend continued across gender lines — with Hispanic men and women at 75 percent in support of Clinton, continuing a trend pollsters have found in weekly polls since March. The impact of the surging Hispanic population across the state and its aversion to Trump is likely to be felt in state legislative races, where districts are smaller, said Max Steele, spokesperson for the Florida Democratic Party. Schale, the Democratic strategist who helped to engineer President Barack Obama’s election victory in Florida in 2008, agrees there could be a significant down-ballot impact from Hispanic voters. For Trump to win, Schale said, he has to drive down the number of white voters Democrats get — by appealing to the growing number of elders in Florida but that could have repercussions down the ballot. “At that point, for Republicans to be competitive in Florida they have to come to terms with the fact that the country is not made up of 75-year-old white guys. It’s no longer an outreach problem, it’s a policy problem,” he said. By contrast, Republican Party of Florida spokesperson Wadi Gaitan did not want to talk about what impact Trump could have on the party’s appeal to Hispanic voters. The GOP leadership’s successful push to keep U.S. Sen. Marco Rubio on the ballot, however, was seen as a strategy to provide a powerful counter to the negative affect Trump may have with Hispanic voters. “It’s no secret that the Hispanic vote has a lot of weight in Florida — something that we have been very committed to,” Gaitan said. But he said the RPOF has worked to engage Hispanic voters, especially in the I-4 corridor early this cycle, building community support groups and outreach programs through their Republican Leadership Institution. “Here on the ground, we see that people continue to register to vote, and the conclusion I draw from that is people want to participate in November,” he said.